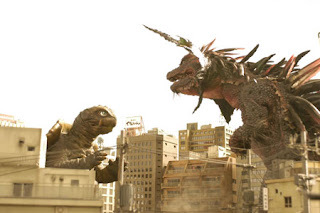 Since Godzilla vs. Gamera will never be made (seriously, Toho shot that idea down years ago), fans of daikaiju cinema will have to make due with the piecemeal bones thrown to fans every five years or so. Godzilla's in retirement until his 60th anniversary, but I'm happy to report that Gamera the Brave has finally made it to our shores. It is the first (and perhaps only) Millenium entry in the Gamera franchise. It's going to be tough to upstage the "Guardian of the Universe" trilogy (which is awesome), but I'm going to run right out and buy this...or order it online...whichever way gets me it quicker. Great blog as for me. It would be great to read something more concerning that topic. Thnx for sharing that data.